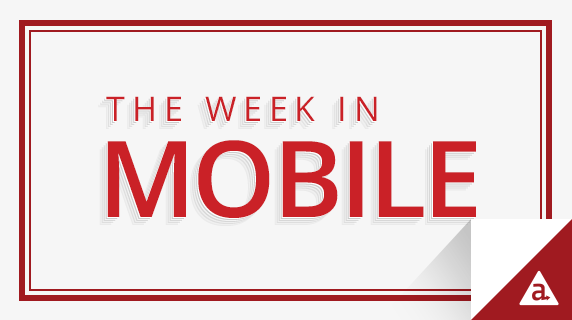 Each week we round up the top news stories, think pieces and other content that center on the fast-paced, quickly changing world of mobile technology. We tell you which companies are employing clever mobile strategies, illuminate new ways of thinking about mobile and offer a peek at meaningful trends in the industry. This content is designed to inspire you and your company to take advantage of the many benefits mobile offers. According to a report from Japan’s Nikkei newspaper, Apple may move to a three-year iPhone release cycle, instead of its current two-year cycle. Historically, Apple releases a big device update every two years with smaller updates on off years. While the company is on track to release the iPhone 7 this fall, rumor has it Apple may lengthen the time between major releases starting in 2017. This move could be inspired by the slowing demand for smartphones plus the fact that Apple has been developing fewer new features for each release as the hardware has matured. Apple’s 2016 World Wide Developer Conference is just one week away, and the company is expected to make several big announcements. Apple is expected to preview iOS 10 for the first time and release a developer build directly after the presentation. It’s also likely the company will release a Siri SDK alongside iOS 10. The company may also announce updates for the Apple Watch OS and Apple TV OS and chances are the company will unveil a few new accessories along the way. For those interested in watching the event, you can livestream the conference here. Facebook announced DeepText AI, which analyzes text in posts and comments to better anticipate user needs. The technology analyzes thousands of posts per second and processes 20 languages. With DeepText, Facebook will be able to prioritize and deliver personalized content to its 1.6 billion monthly active users. There are a number of uses for DeepText, but one of the first will be on Facebook Messenger where it will be used to analyze text and offer relevant features – for example, a user talking about needing a ride will be prompted to use Uber and Lyft integrations. Google has updated “Now on Tap” with an AI-powered image search feature, which allows users to scan photos and search Google for related content. Users can pull up a photo on their smartphone and summon Now on Tap by holding down the home button. Now on Tap scans the image and automatically surfaces related content. For example, if you took a photo of a landmark, Now on Tap would scan the photo and pull up relevant information. The tool even works before you’ve taken a photo — users can summon Now on Tap from the camera app to scan whatever is located in the viewfinder. Samsung is offering a free Gear VR headset with the purchase of a Galaxy S7, S7 Edge, S6, S6 Edge, Edge+ and Galaxy Note 5. The promotion, which ends on June 19, also includes six free games from Oculus. Samsung’s promotion is meant to get more Gear VR headsets into consumers’ hands. This isn’t the first time Samsung has pushed its VR offering, as the company also promised a free Gear VR to anyone pre-ordering the S7 and S7 Edge. Meanwhile, Samsung also unveiled a new 4K smartphone display, which is built specifically to support VR. The new technology could make its consumer debut with the next high-end Samsung phone release. Microsoft and Xiaomi are partnering to strengthen their mobile offerings. Both companies have struggled to keep up in the highly competitive landscape, with Xiaomi’s growth plateauing and Microsoft recently ending its foray into smartphone manufacturing and its mobile OS market share dropping below 2 percent. Now, the two companies have come together to reinvigorate their mobile presence. Xiaomi’s mobile devices will soon come preloaded with Microsoft’s Office apps and Skype and Microsoft will transfer several patents to Xiaomi. It’s a win-win as Microsoft gains a new platform to push apps out and Xiaomi moves one step closer to becoming a global brand.